A woman who repeatedly stabbed a 15-year-old girl, killing her on cellphone video, was sentenced Friday to 40 years in prison. She sobbed and apologized to the teen's mother. News4's Julie Carey reports. 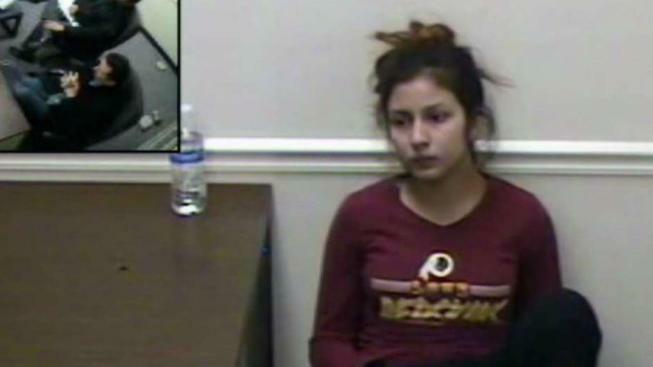 A woman who confessed to the brutal revenge killing of a 15-year-old girl from Maryland was sentenced Friday to serve 40 years in prison. 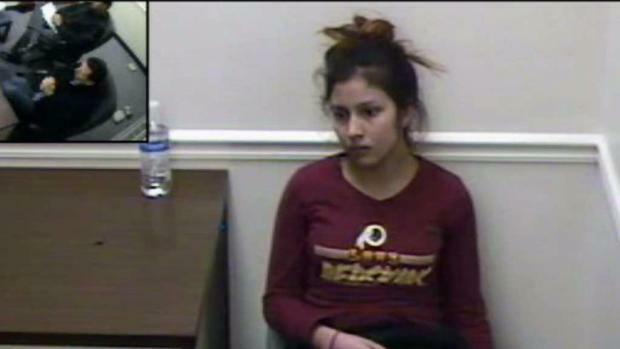 Venus Romero Iraheta is the second-to-last of the 10 young defendants convicted in the MS-13 murder of Damaris Alexandra Reyes Rivas to learn their fate. She told police that she told her victim, "You're going to remember me until the day we see each other in hell." Reyes Rivas was killed in January 2017 and buried in her quinceanera dress. Sitting just a few feet from her daughter's killer, Reyes Rivas's mother, Maria Reyes, spoke in court Friday. A Virginia teenager confessed to killing a 15-year-old girl and told police she repeatedly stabbed the girl in the stomach. Just hours before her confession, she had a tearful reunion with her mother when she returned home from being on the run. News4's Jackie Bensen reports. "She destroyed my life," Reyes said about Iraheta. Then, she looked straight at the killer and told her that she knew her daughter was in heaven, not in hell like Iraheta said as she killed her. "Hell will be lived by you, not by her," she said. Iraheta sobbed in court and pleaded for mercy. "I would give my life to bring her back. I am sorry. I am so sorry," she said. Fairfax County Commonwealth's Attorney Ray Morrogh said her sobs struck him as "crocodile tears." 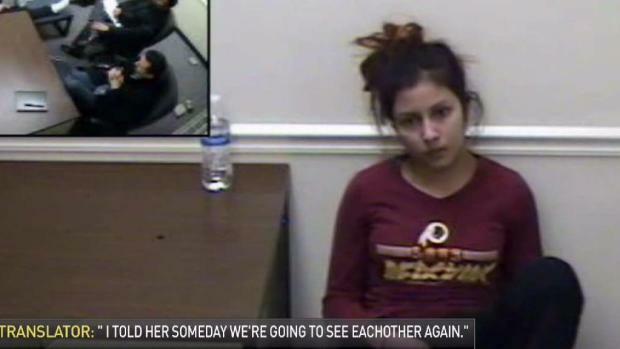 News4 has obtained video of the interrogation of a Virginia teenager who confessed to killing a 15-year-old girl. At one point in the video, she tells investigators she told the girl she would see her in hell. Earlier this year, News4 obtained video of Iraheta confessing to stabbing and killing Reyes Rivas. Iraheta, now 18, believed the teen was responsible for the death of her boyfriend, Christian Sosa Rivas. 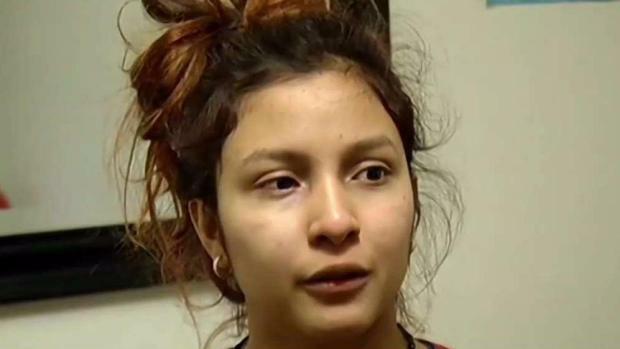 In an interrogation video from Fairfax County police, Iraheta told investigators in Spanish that she told Reyes Rivas, "You're going to remember me until the day we see each other in hell. Don't forget my name. And I told her my full name and I told her my nickname. And I told it to her and I told her to never forget who I was. I told her someday we're going to see each other again." Reyas Rivas' mother said she did not want to believe her daughter was dead when investigators discovered her body. An 18-year-old woman seeking to avenge the killing of her boyfriend pleaded guilty to stabbing the 15-year-old girl she believed was responsible 13 times in a brutal killing that was recorded on cellphone video and shown in court. Northern Virginia Bureau Chief Julie Carey was in court. "I couldn't believe it. I would tell them they were lying," Reyes said. "I was looking for her, and I looked for her for a long time, but I didn't want to find her dead." The detective later asked her if the killing bothered her. With a straight face, she shook her head, signaling "no." Reyes Rivas left her home in Gaithersburg, Maryland, on Dec. 10, 2016. She had told her mother she was being threatened by gang members at school. Jurors reviewing charges against alleged MS-13 gang members saw video on Thursday of the deadly attack on Damaris Alexandra Reyes Rivas. 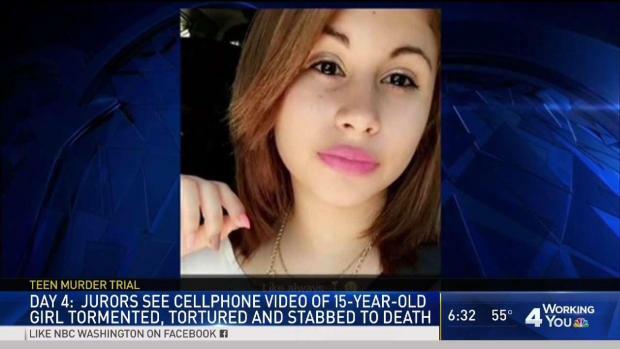 The 15-year-old Maryland girl was tortured and found dead in Virginia. "As a reporter who has covered murder trials for years, I have rarely seen anything more disturbing," News4's Chris Gordon says. On the night of Jan. 8, 2017, Iraheta and nine other young people allegedly took Reyes Rivas to an area near Lake Accotink Park. They then assaulted and interrogated her about the recent murder of Christian Sosa Rivas, whose body was found Jan. 12 along the Potomac River in Dumfries, Virginia, police said. The group recorded the attack on Reyes Rivas to send to MS-13 leaders in El Salvador with hopes of being promoted in the gang, Morrogh said. Reyes said her daughter's murder devastated the family, including Reyes Rivas' grandparents. "My life is no life without my little girl. My girl is always on my mind, all the time," Reyes said in court. "All the time, I remember what this young girl did to my daughter."